The word ‘recovery’ is defined as; “A return to a state of normal health, mind or strength”. Here, in the final instalment of this short paper series, we address why financial markets, after a sell-off, return to this state. Since market behaviour is ultimately a collective representation of the behaviour of a multitude of individuals (the herd of us) we can posit that understanding why we as market participants return to a state of normal health, mind or strength can lead us to the same conclusions regarding financial markets. Following on from our previous article “Why Markets Sell-off”, we now look at the dynamics of the sell-off once the peak has passed and why markets stop selling off. The selling action can be categorised into three stages. As we move from Stage 1 to 3, it is the shift in balance between buyers and sellers that determines the velocity and duration of the sell-off. But what drives these interactions can be explained by behavioural finance, and in particular prospect theory. A model for predicting when markets will sell-off has become somewhat of a holy grail for market practitioners over the years. This topic has gained momentum as a significant body of professionals have been caught out by financial crises – the more recent ones being Asia 1997, Russia 1998, Dotcom Bubble 2000, Global 2008 and 2011. This question of when leads us to the conundrum of ‘Why Markets Sell-off’. 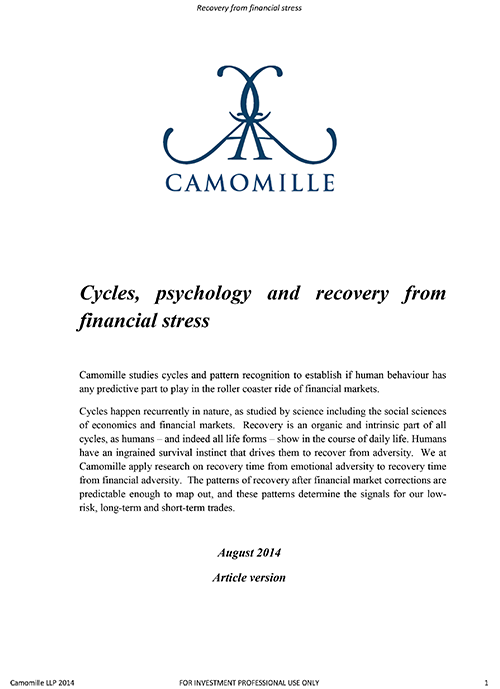 Camomille studies cycles and pattern recognition to establish if human behaviour has any predictive part to play in the roller coaster ride of financial markets. 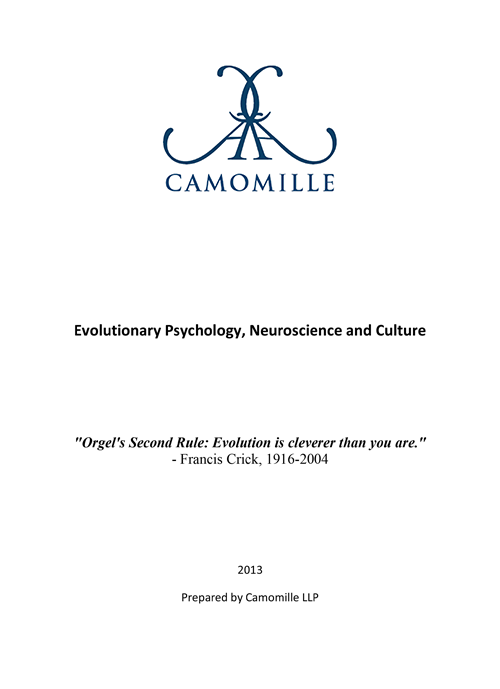 This paper aims to bring together three independent fields of research in order to ascertain the sources of cultural diversity, the process of its evolution, and the behavioural and psychological implications it leaves us with today. It also aims to emphasise some of those differences that are most notable when comparing East Asia versus the West.